Jun Jun 津津食家(don’t have an English name) was a DaiPaiDong along Shatin, when Shatin was the outpost in New Territory, Hong Kong. This was where the bus ended and private buses continued into the borders of NT and then Shenzhen (which was not linked and was still farmland and marshes). And I am only talking about 1978. 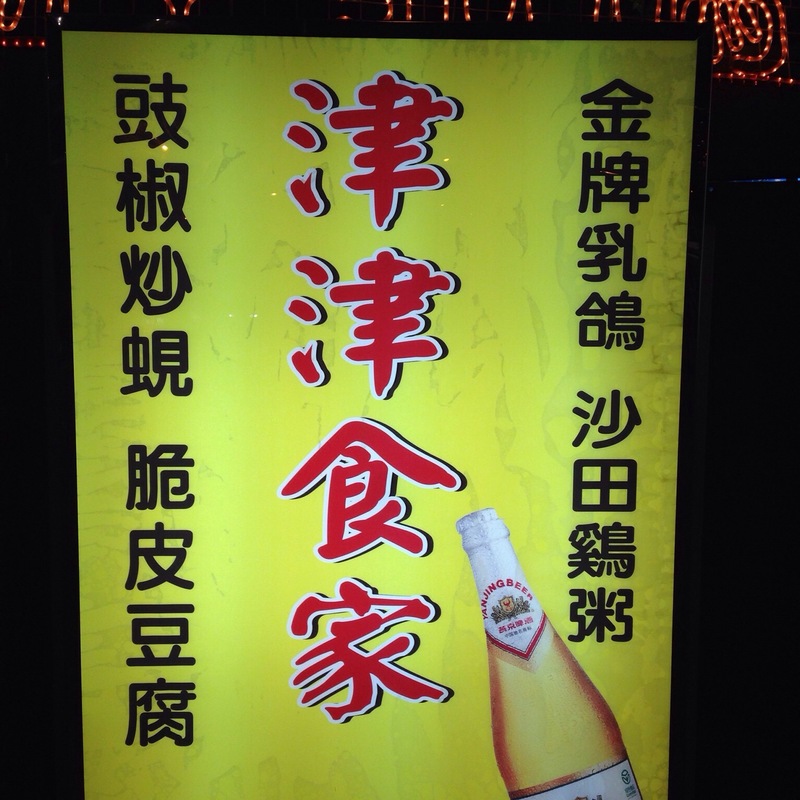 Since the opening up of China and economic / population boom in the 80s, Jun Jun has moved with the time and became an established restaurant still located at the sidewalks of same bus bays back then. 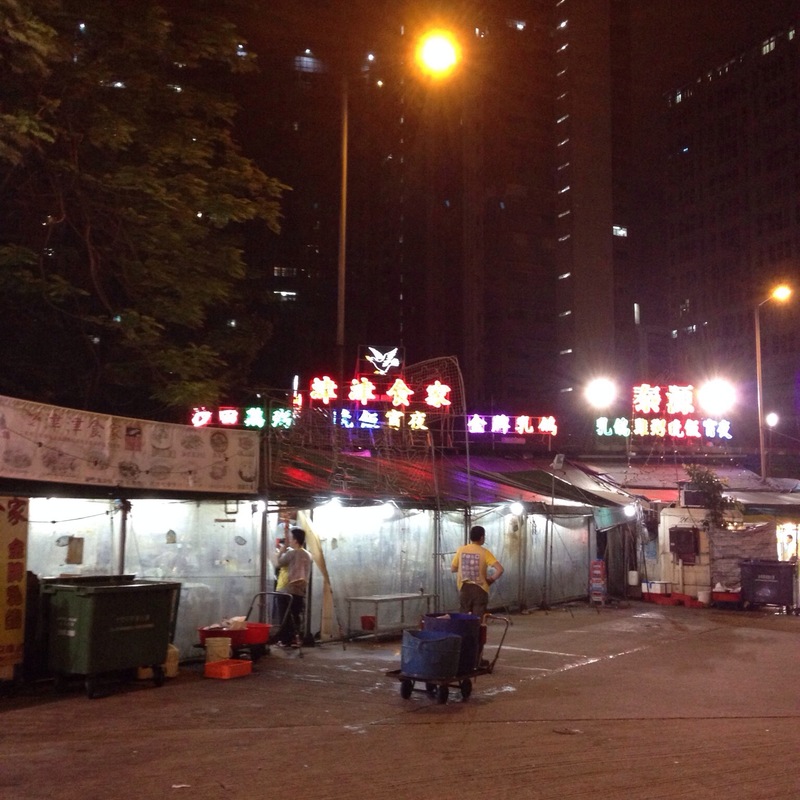 The neon lights beckoned the hungry people to come eat their famous Roasted Pigeons. Roasted was a misnomer. 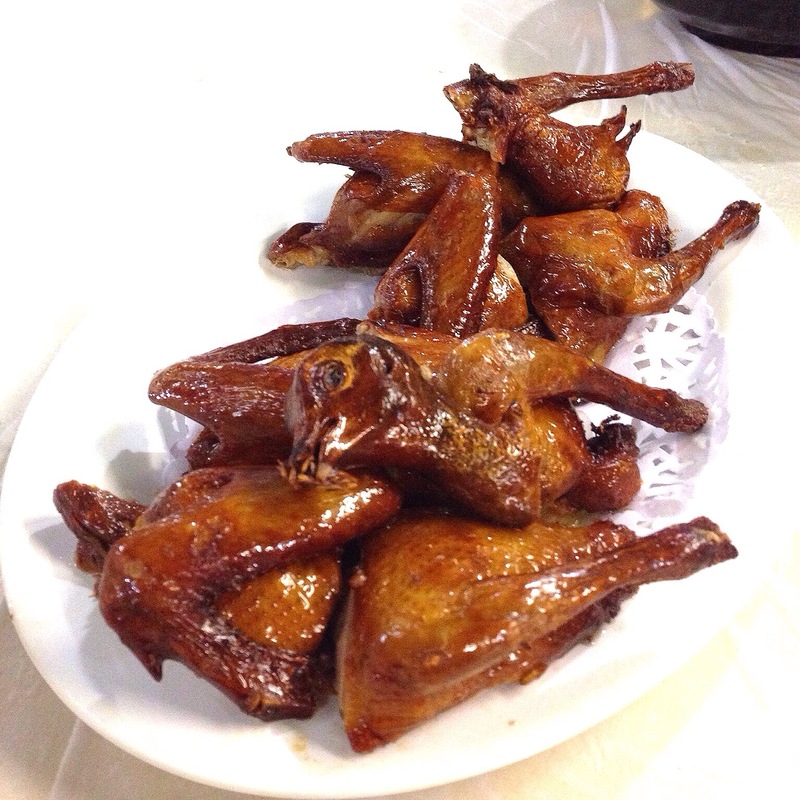 It was cooked in soy sauce and then deep fried for crispness on the skin. And the pigeons here were specially bred for their flesh and therefore were much bigger than those you get in China. 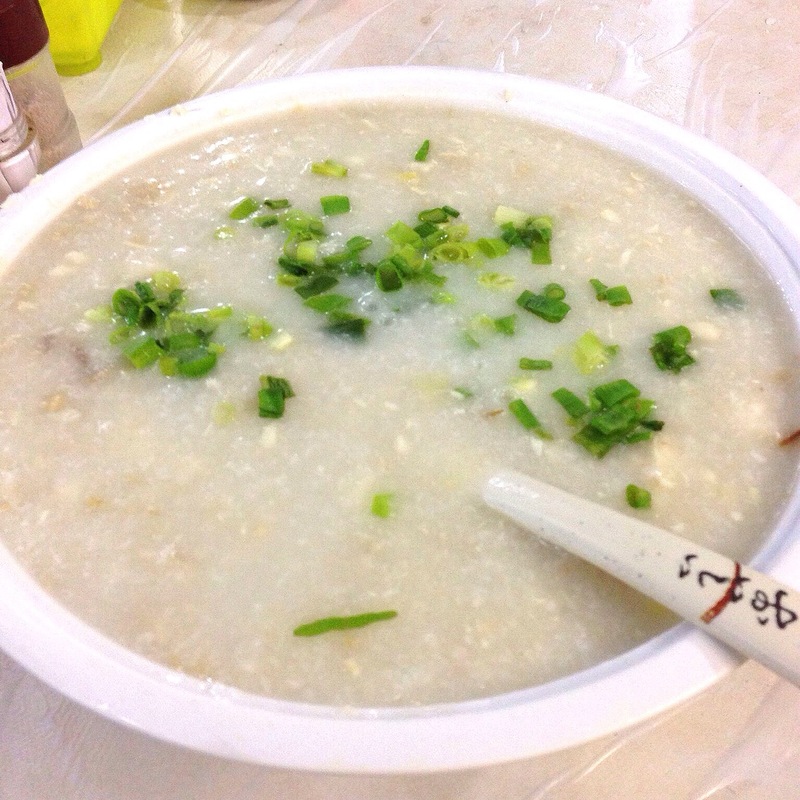 NeiMun Chuk (Rabbit Fish porridge) was a perennial favourite for my family. This was a more classy version with flesh of the fish only. But I sweated that those that used the whole fish were much sweeter and savory (but watch out for the bones). Salt and pepper Octopus head tossed in deep fried garlic. Imagined the number of octopus (not the big ones) that need to be used for us to enjoy the crispy cartilage of the lips and head of octopus. Southeast Asian style (Sambal in other words) bamboo clams. Enough said. Not a really interesting dish. 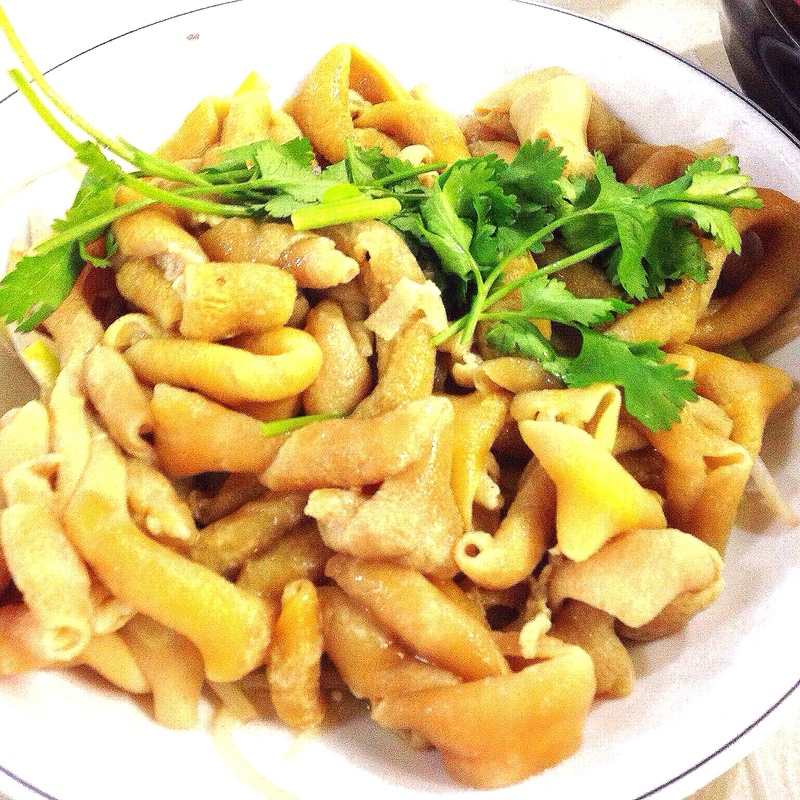 BakChuk (Blanched) Goose Intestines. For goodness why would one eat the intestines of a fowl without cooking it in any way, just a quick blanched in boiling water? Strangely, that’s the best way to eat it as it will test the skills of the chef since you cannot hide any stench from using spices. Just dip in soy sauce and enjoy the crunchy texture. 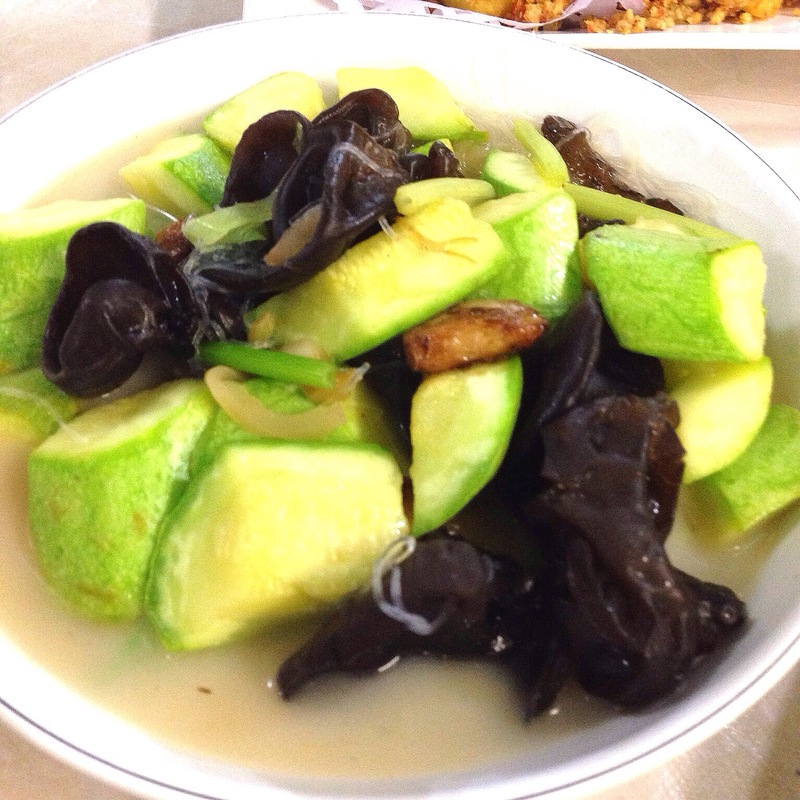 Loofah gourds cooked in stock with black fungus. Just our quota for greens. 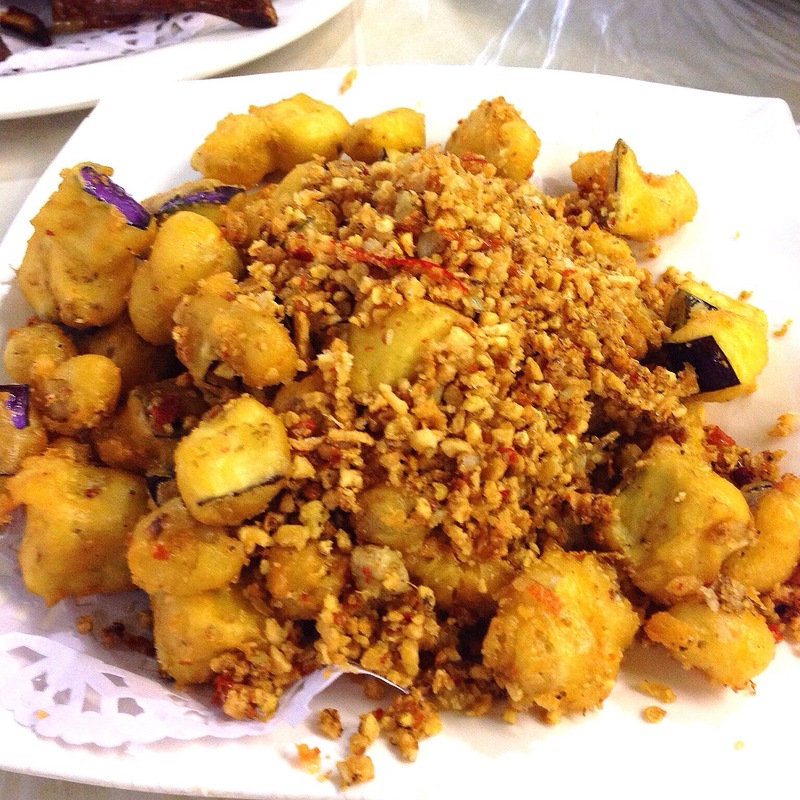 Oyster omelette Chiuchow style. That’s fish sauce on the saucer. I find this one too oily and over done. It used to be very good here. 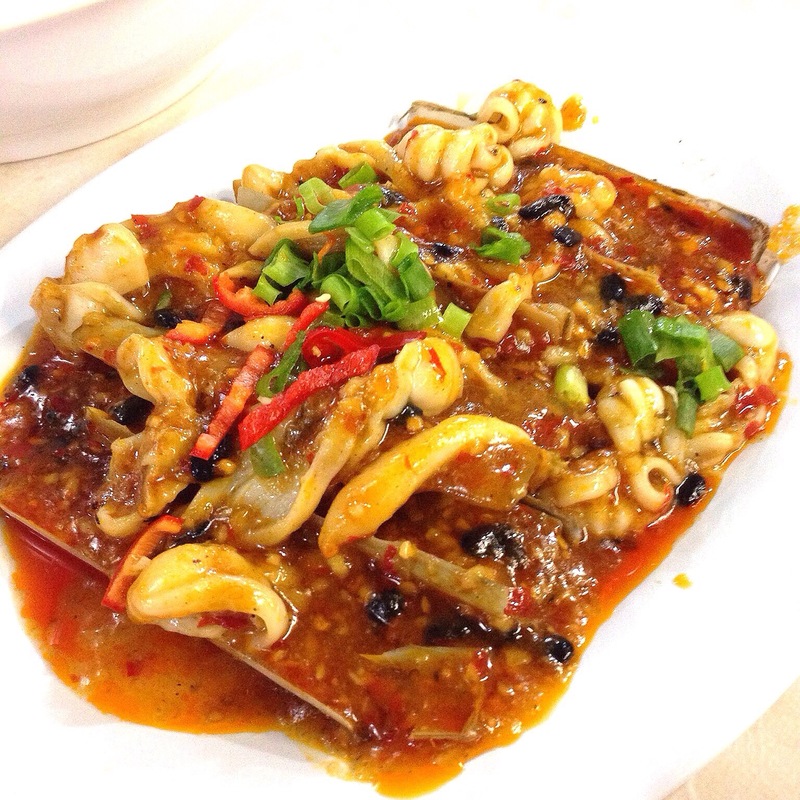 Now I think Macau still maintained the standard for these classic dishes. The same simple sign that was put in front of the store/restaurant. Luckily now it was all air-conditioned. We used to sit open air to eat under the heat. That’s why we avoided summer. The buses have moved into the new towns leaving them with the entire space to themselves. But still no parking as it belonged to the bus company.